We are at the final week of my Winter Season Impressions (Well, all my impressions are being released this week, but you know what I mean). Last time we started with 11 but dropped Nobunagun, Pilot’s Love Song, and Wizard Barristers. This means there are 8 series left to get through! 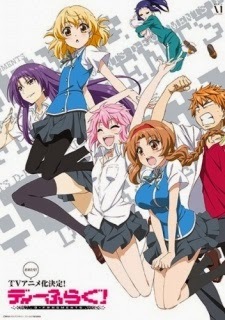 After this week, they will join the 6 Fall Season leftovers plus season 2 of Sliver Spoon and the short Pupa! Let’s get started! Hooray for school festivals! So we have our little competition between Game Creation Clubs, and the laughs ensue. This series still has me laughing hard, but a little less than previous episodes. Maybe that’s because I’m getting used to the show’s humor more and more so it wares off. However, it hasn’t worn off by much so points to the series there. As for where it stands with me, I’m giving it a Pass. It’s not my favorite of the season, but it’s still a really fun show and I would love to keep this one up! Let’s see what the future brings for the Game Creation Club! Well this episode is a bit different then the previous. There’s a lot of psychological stuff going on in this one for Art and it’s a nice change. But I do take issue in our villain being revealed so early on. Thankfully, he doesn’t reveal himself to Nice and the rest of Hamatora, just to Art. So this may set up a plot point for later on in the series. This worries me a little bit because, if I’m right in my prediction, then it may make the series even more predictable further down the line. 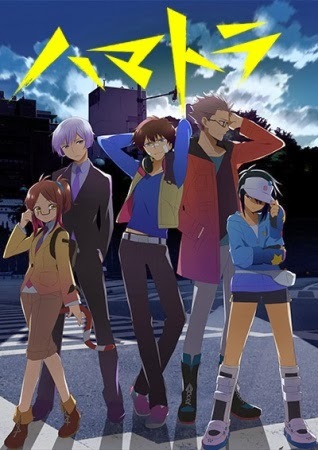 However, since we’ve learned a little more about some characters and got bits of exposition and even politics in there, Hamatora is getting a Pass from me. Having build up gives this series major points in my book, but I just hope that it isn’t as predictable as I fear it may be. During Week 2, I was worried that this series was going to be a one trick pony and become rather flat with recycled gags. This time we get similar gags and pop culture references along with a new character from Shangrai-La. Sadly, I think I only chuckled once throughout the entire episode that I’ve grown kinda tired of the series. I think what it comes down to for this series are the overused gags and the religious references that I don’t really understand (even though some are explained to me). 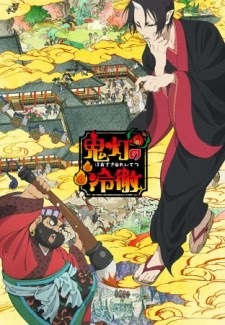 It’s not a bad series and not the worst I’ve seen in the Winter season, however Hoozuki no Reitetsu is going to be given a Fail grade from me. I wouldn’t mind going back to it sometime, but, compared to the rest of the season, I don’t feel like I’d be excited to watch this one over the next couple of months. So we finally get a little more character development for our young “couple” and it looks like someone overheard that they actually aren’t dating. That was an interesting episode, however I’m not sure where Nisekoi stands with me. It’s not bad, and it manages to get a laugh out of me once in a while, but I feel like it’s getting old rather fast and I’m not sure whether to keep watching with high hopes that it’ll get better, or just drop the show now and save myself the trouble. Seeing as how this is the last series I’m watching during Week 3, I think I’m going to give this one a Tentative Fail. Part of me doesn’t want to get my hopes up, while part of me still has to contend with whichever winter series I take with me after this plus fall leftovers and a couple other series I’m not covering currently. I mean, I already have eight shows I’m watching plus whatever winter shows I end up keeping. 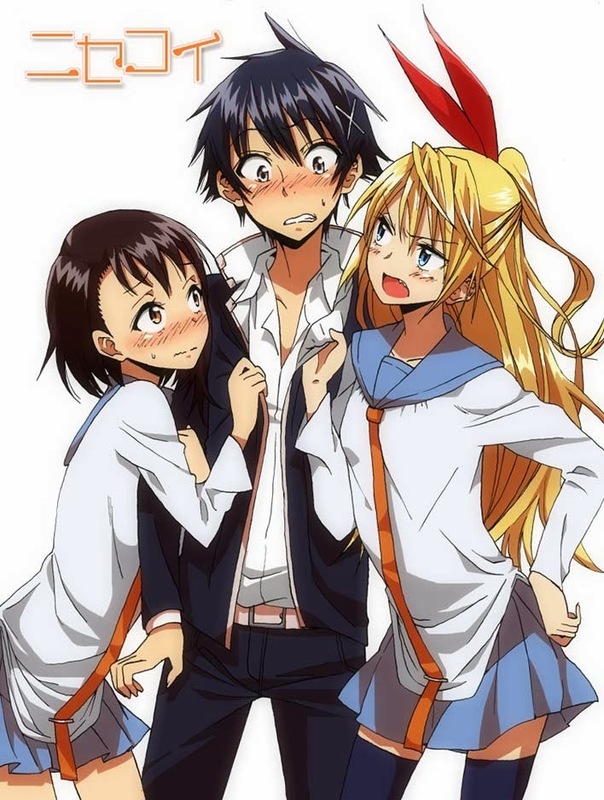 I do plan on going back to Nisekoi, but for the sake of my time and sanity it’s not happening right now. Well, we’re finally getting to meet other Gods and it’s rather amusing how this turns into a job for Yato and Yukine. The outbursts that Yato has about Yukine’s thoughts (since they do share “mind and body” as the series puts it) is just a sudden outburst that made me laugh so much as a lovely moment is ruined by Yato’s idiocy. This is in no way a bad thing since the series itself is strongly reminding me of what I’ve seen from Full Metal Alchemist, and I feel it’s the closest resemblance to another Bones show that I can think of. It certainly doesn’t seem similar to Ouran or RahXephon that’s for sure. 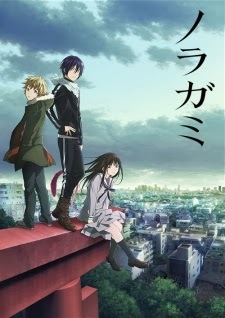 So where does Noragami go from here? Well, I would love to find that out too so Noragami is getting my seasonal BIG FREAKING PASS. It’s my absolute favorite of the winter season, and I am glad Bones is on track to getting it’s groove back! Final Grade: BIG FREAKING PASS!! Alright. I was a little concerned last time about some of the writing for this series and was hoping that it would at least get a little smarter about it or something. Did this happen? No, not really. It’s still the same cutesy things we’ve been seeing since episode 1. This isn’t a bad thing, I like that this is really cute and adorable. I just hoped that the writing would be a little better than this or maybe a little smarter. Sadly, I didn’t get my wish. However, all is not lost here. 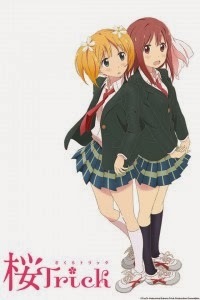 It’s not going to pass, but Sakura Trick is getting a Tentative Fail grade from me. For the time being, I’m putting this one on hold instead of dropping it completely. I wouldn’t mind going back to this one some time more than the other series I’ve seen this season. But, since I don’t want to give myself too many series as well as the writing isn’t what I expected it to be it’s not joining the other series that have passed this season. It’s still a nice show that introduces me to a new genre though. We’re doing things a little different this week. 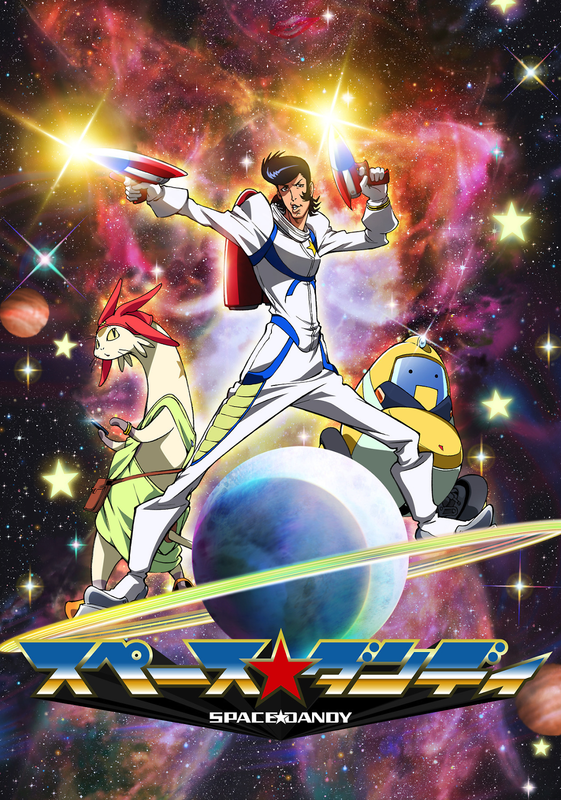 The first two episodes of Space Dandy were covered in english. Since I don’t have cable at school and only the Japanese language track is on FUNi’s site, we’re going with the Japanese. It’ll be a nice change anyways! So how did this episode go? Well the Japanese is just as much fun as the english! Also, I’m starting to believe that we need a death count since this is the second time someone has died and will more than likely show up next episode. This series is just way too much fun and isn’t taking itself seriously which, for Studio Bones, is a nice contrast to Noragami. I can’t believe I am saying this, but Bones is back in business! So much so, that for the first time in doing my Impressions series Space Dandy is the second BIG FREAKING PASS grade I’ve given. Normally, I only pick one but between both these shows I can’t pick a favorite! I can’t wait to keep up with this dandy crew for the rest of the winter! As previously mentioned during Week 2, Wake Up, Girls is in an interesting situation. Since the movie was basically episode 1 that makes episode 2 of the series my episode 3. So that’s what we’ll be covering here. And, as I thought, Sudo is extremely sketchy. Luckily Tenge comes back into the picture and saves the girls from that very sketchy job. We also get a bit more development with Miyu as she and the other girls learn that becoming idols is not that easy. 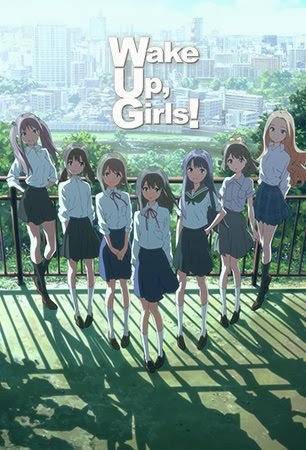 But now, where does that leave Wake Up, Girls for me? I’m still enjoying the series a lot and they seem to be balancing out the amount of major characters rather well, giving the right amount of time and development to the right girl. Wake Up, Girls isn’t my season favorite but it is getting a Pass from me. I am still looking forward to seeing these girls become full fledged idols! Now that I’ve gone through the remaining eight shows, let’s see where the entire winter season stands! That’s it for the Winter anime season! What are you guys watching this season or is there a series coming in the Spring you’re waiting for? Let me know in the comments! And, until next time, otaku on my friends!